First of all, what is a genre, and why is it important? We commonly think of a genre as being a combination of the individual components of the game production pipeline: Art, sound, setting, story, player goals and challenges. They all have an impact on which category the game eventually fits into. However: one theory, by Zimmerman and Salen, states that it is simply the similarities between games which will dictate it’s label. Through analysis we can find common traits and patterns of particular games. When you have a collection of patterns, you can then divide these games into individual genres, and conclude how they relate to one another. This index can help define the genre itself, and also makes it easy to categorise future products that hits the market. Ernest Adams refers to genres in games as being completely different from genres in movies or literature, since we tend to describe the style of gameplay, and not the story elements. An action game, for instance, can be set in the old west, or on an alien planet – it is still an Action game just the same. Another important factor to note, is the limitations of technology. 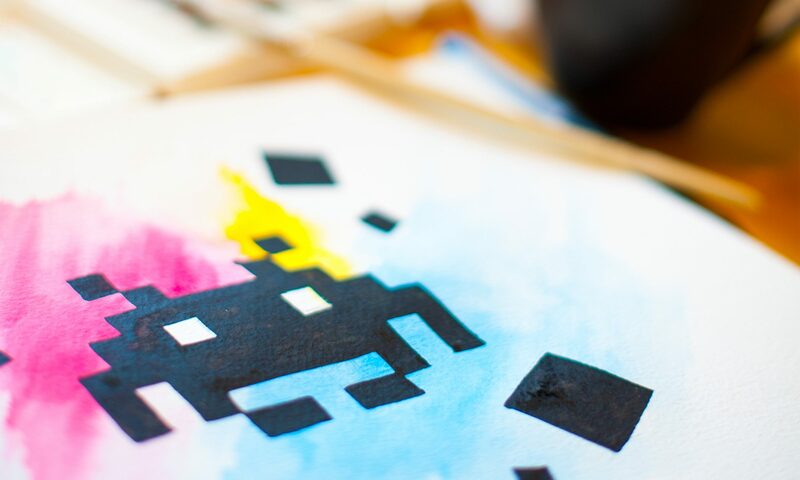 A game like Space Invaders is considered Arcade, but it is not far fetched to think that if it had been made with todays technology, it would be an entirely different game, belonging to an entirely different genre. Finally, there is the issue of App Stores and marketing. These platforms and PR teams are deciding the genre with little disregard for what the developer originally thought. While it is a great way to target certain audiences, it can most likely also limit certain products. It is curious to think that the genres themselves have been created by the early examples of the video game industry, and now the newer games are subject to them, by being forced into predetermined categories. Earnest Adams and Andrew Rollings, Fundamentals of Game Design. 2007, Person Education Inc.
Really good post – the chart is interesting!